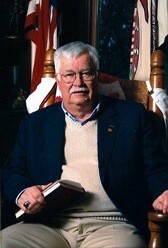 Gordon is the author of Pictorial Encyclopedia of Civil War Medical Instruments and Equipment Volumes I, II, and III. He and Dr. Alfred Jay Bollet co-authored Images of Civil War Medicine. He has served on the editorial staff of North/South Magazine and was editor of the Reprint of Memoirs of Jonathan Letterman, MD Surgeon of the U.S. Army 1861-1864. On Wednesday, June 22nd, Gordon will present his Summer Lecture Series talk on “Medical Evacuation at Antietam”. We all know the importance of the Battle of Antietam militarily but equally important is the fact that evacuation of the wounded in a systematic fashion helped both armies during and after the battle. Gordon will discuss the work of Dr. Jonathan Letterman (USA) and Dr. Lafayette Guild (CSA) who were the Medical Directors responsible for developing and carrying out this important task. These Wednesday evening programs are free and open to the public. They will be held outdoors on the grounds of the Jacob Rohrbach Inn at 7:oo p.m. Feel free to bring a chair or blanket to sit around the event tent. In case of inclement weather talks will be cancelled. Parking is available on Main and Hall Streets. Check our Facebook page for updates.